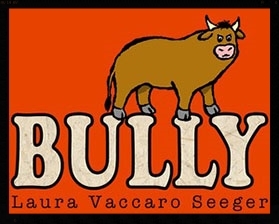 Laura’s paintings have been exhibited at many museums and galleries including the Art Institute of Chicago, the Eric Carle Museum of Picture Book Art, the Mazza Museum of Picture Book Art, the New York Public Library, and the New York Nassau County Museum of Art. She earned her BFA degree at the School of Fine Art and Design at the State University of New York at Purchase in Westchester, New York. She then moved to Manhattan and began a career as an animator, artist, designer, and editor in the network television business. She created show openings and special segments for NBC and ABC for many years and won an Emmy Award for an opening animation for an NBC Special. Laura lives in Rockville Centre, New York, with her husband, Chris, their two sons, Drew and Dylan, and their dog, Copper, the star of her "Dog and Bear" series. She takes long walks at the beach each day and paints in her studio each night.